Join NIU Continuing & Professional Education to for our Travel with NIU: Shakespeare's A Winter's Tale at the Goodman Theatre in Chicago! 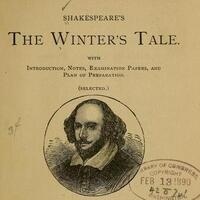 A Winter's Tale is about a jealous king who accuses his wife of infidelity, setting off a calamitous series of events. But what begins as tragedy evolves, unexpectedly, into a fantastical journey-from wrath to redemption to reconciliation. Following his celebrated productions of King Lear and Measure for Measure, Director Robert Falls reimagines one of Shakespeare's most wildly theatrical tales. The Chicago Tribune said about Robert Falls "No modern American director is better at making a play's iconic moments pop with fresh irreverence." Lise Schlosser, Coordinator with NIU P-20, is an expert in Shakespeare with a Master's Degree in English and will be delivering a talk on the bus ride up to the performance. The fee is is $99, which includes transportation, bus discussion, and a ticket to the show. lunch and shopping is on your own in Chicago. Bus will depart at 9:30 a.m. from DeKalb at the Holmes Student Center (Normal rd entrance) and we will return approximently around 6 p.m. There is also an NIU Naperville pick up option at 3 p.m.
Registrations can be made online or by calling 815-753-0277. Registrations are extremely limited for this event so reserve now.